In devastating news, Stacey Abrams has ended her campaign for governor in Georgia against Republican Brian Kemp—which, if she’d won, would have made her the first Black woman ever to lead a U.S. state. The Democratic politician is also set to file a lawsuit against the state of Georgia for “gross mismanagement” of the election. In her November 16th speech, Abrams said firmly that her decision to end her campaign was not a concession. "Let's be clear—this is not a speech of concession, because concession means to acknowledge an action is right, true, or proper. As a woman of conscience and faith, I cannot concede that,” she said. “But my assessment is the law currently allows no further viable remedy. Now, I can certainly bring a new case to keep this one contest alive, but I don't want to hold public office if I need to scheme my way into the post. Because the title of governor isn't nearly as important as our shared title—voters. And that is why we fight on." 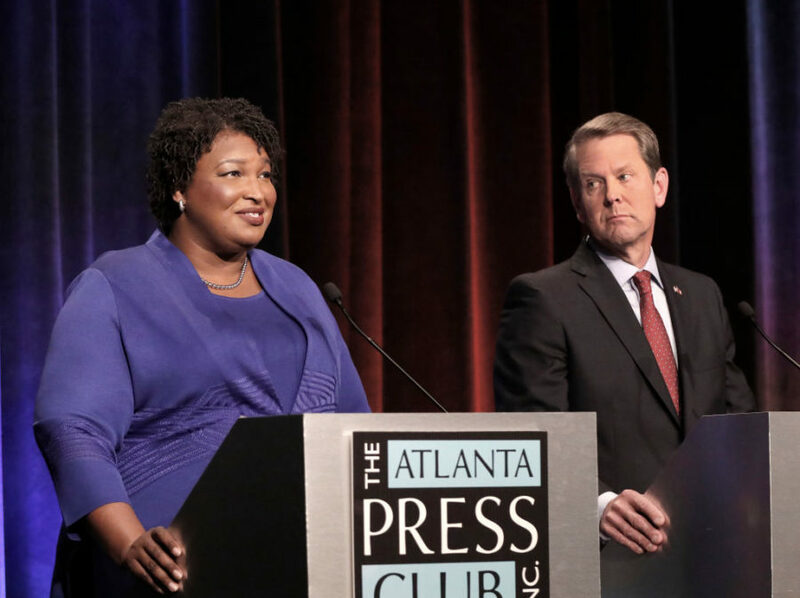 Abrams’ speech comes on the heels of a contentious campaign against Kemp in the November 6th midterm elections; since then, Abrams’ team has fought hard to secure enough votes to force a December 4th runoff, but Kemp kept a narrow lead over Abrams. Over 1,000 absentee votes were rejected during Georgia’s midterm elections due to minor administrative errors, such as mismatched addresses and birth dates, and even more voters had lost their right to cast a ballot earlier in the campaign because of a Kemp-era policy. Georgians had to contend with major voting difficulties due to broken machines, long lines, and untrained poll workers. Even Kemp, who oversaw the midterm elections and faced allegations of voter suppression, reportedly had issues voting as well.